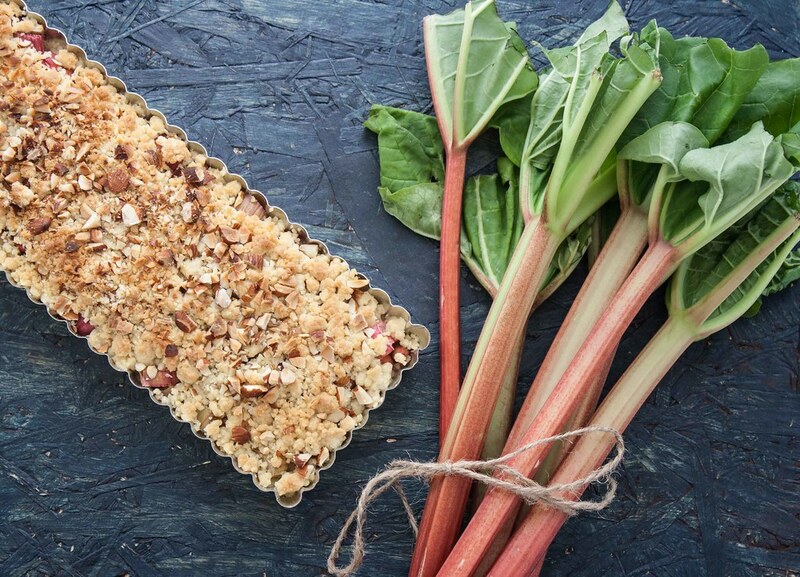 We believe that most people think that rhubarb is a fruit because it is often used in desserts and drinks – that is not entirely correct. Rhubarb is actually a vegetable but that does not make this pie less good. 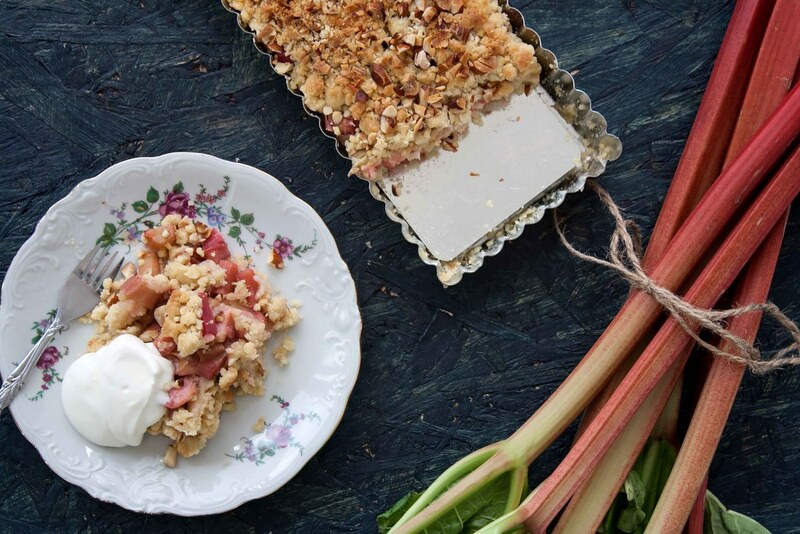 This rhubarb pie with crumb topping is super delicious and has a fresh taste. 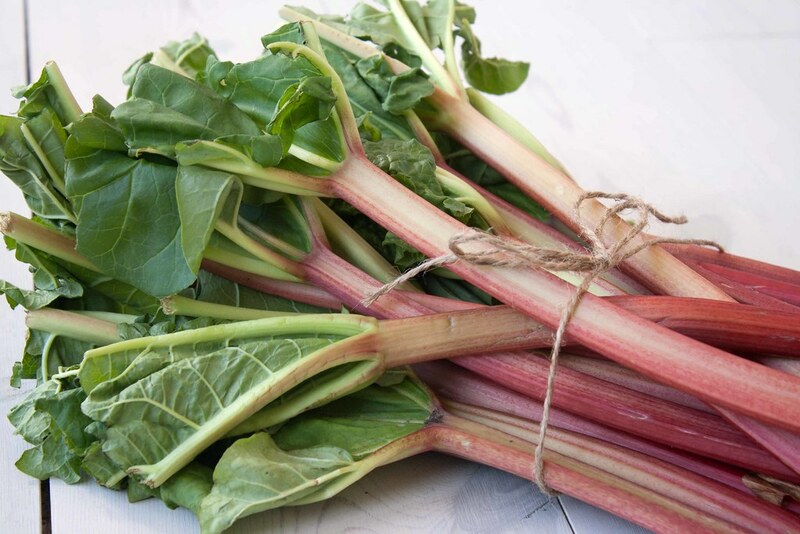 Rhubarb has a great sour taste which makes it a great ingredient in sweet desserts. The pie only contains few and simple ingredients and are relatively easy to make. 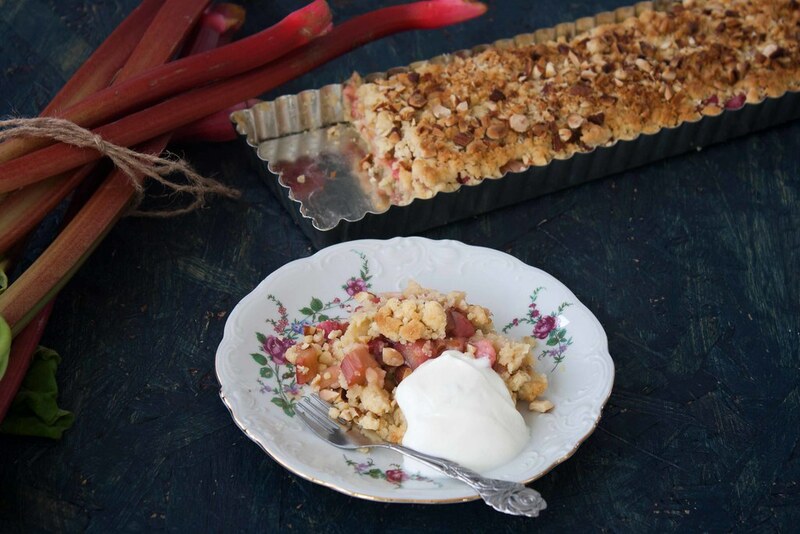 If you are interesting in other great recipes with rhubarb, you can find some in our recipe archive. 1. 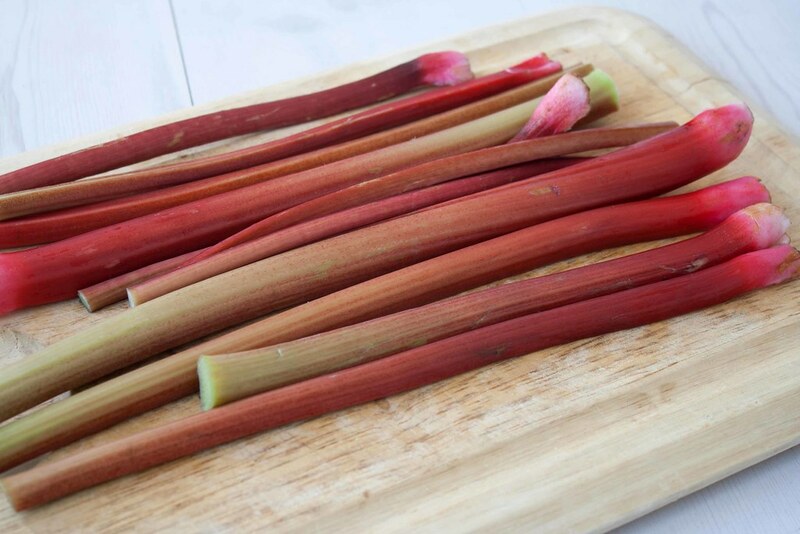 Rinse and clean the rhubarb. Cut off the top and cut them into smaller pieces. 2. Mix the soft butter with the sugar, vanilla sugar, baking powder and flour. Mix/knead until the mixture resembles coarse crumbs. 3. 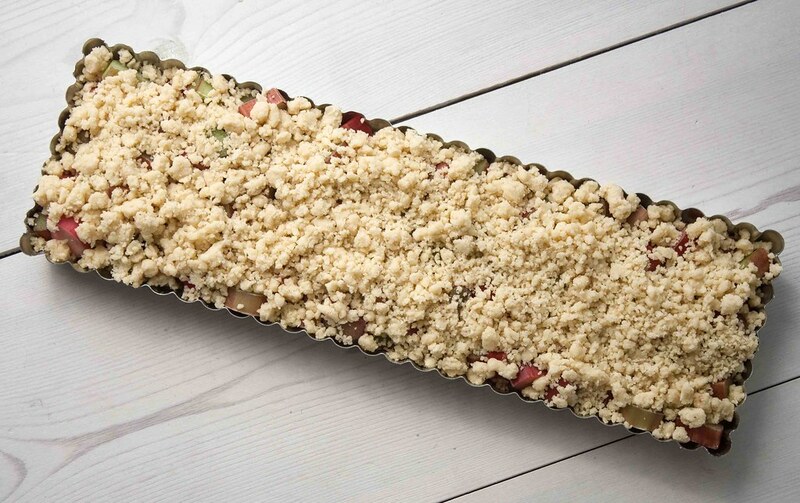 Distribute 2/3 of the crumble dough in a pie dish. We used a rectangular dish but a circular (20-23 cm / 8-9 inch) would work just fine. 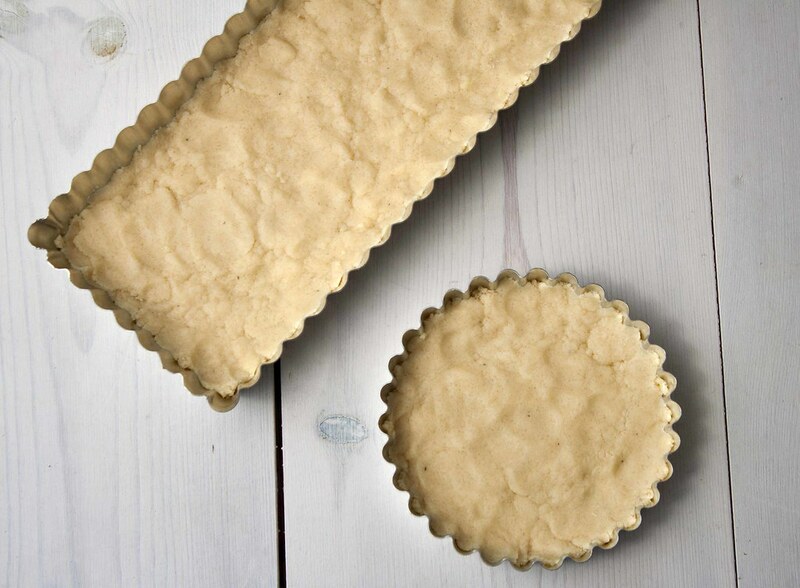 Use your fingers; press the dough into the shape of the pie dish. 4. 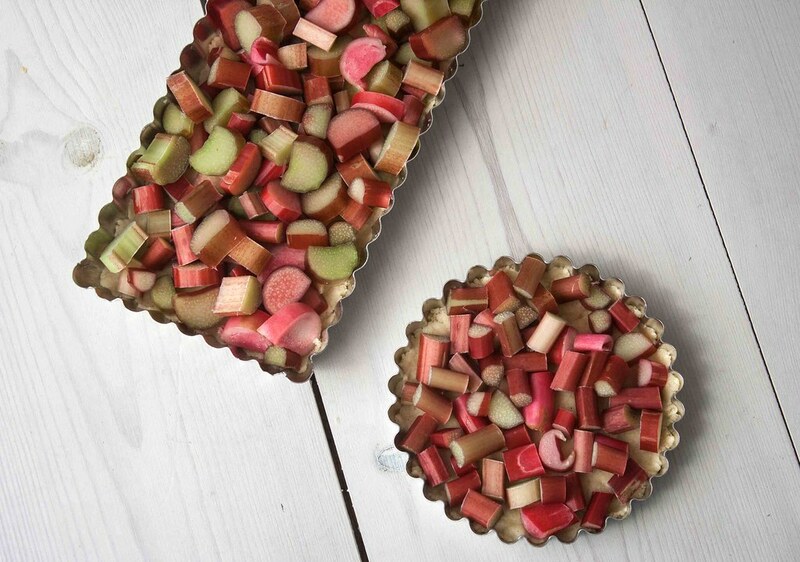 Distribute the cut rhubarb on top of the dough. 5. 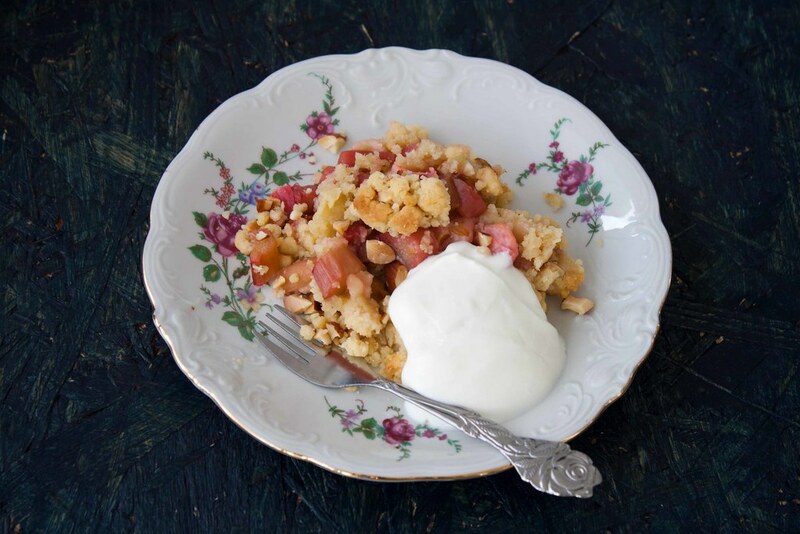 Distribute the last crumble dough on top of the rhubarb. Sprinkle with chopped almonds. 6. Bake the pie at 175 C (350 F) for about 30-35 minutes. Tip: Serve the rhubarb pie with some sour cream. I live in Racine, Wisconsin, with a lot of Danish Americans and transplanted Danes. Just picked up some fresh rhubarb at the harbor market in Kenosha, and this is a delicious recipe for it!